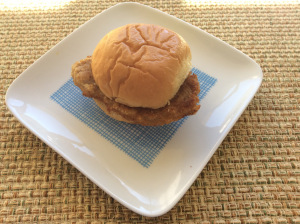 Pork Tenderloin Sandwiches! | Let's Eat! Sundaywithachanceofmeatballs.com is making Pork Tenderloin Sandwiches to honor Mr, Bob Armstrong on gameday! A few years ago I visited Indianapolis with my friend Todd Armstrong. I am a Steelers fan, but could not pass up an opportunity to see the Manning brothers play against each other in the recently built Lucas Oil Stadium and spend some time with Todd. During the stay I mentioned to Todd’s father Bob that I wanted to find a place to have a pork tenderloin sandwich. I had heard they were the local fare and I had never had an authentic Indy tenderloin. Bob surprised me by taking me to the Nickel Plate Bar and Grill in Fisher, IN, which much to my surprise was a Pittsburgh Steelers themed bar that sells an amazing tenderloin sandwich! 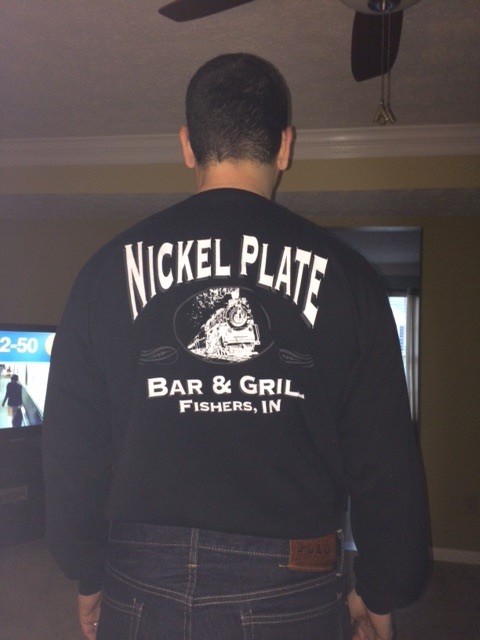 Check them out at http://www.nickelplatebarandgrill.com. They even have a 3 rivers sub on their menu! When we walked in the place was packed with Steelers fans! I tried to purchase a t-shirt and they were out of my size. Months later when Bob and his wife Donna visited Charlotte, they brought me a gift! 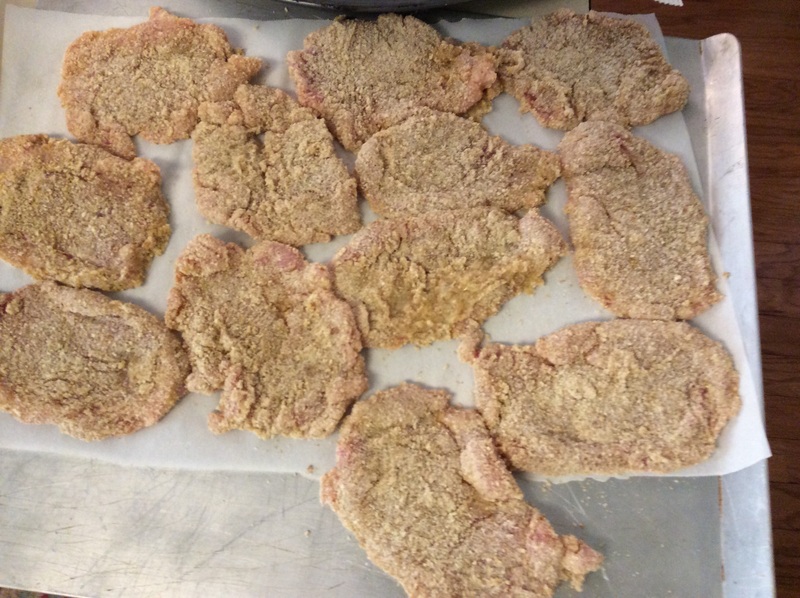 Start by preparing a breading station of flour, breadcrumbs and egg wash as seen below. Combine eggs and milk and mix thoroughly. Combine flour, garlic powder and onion powder and mix. 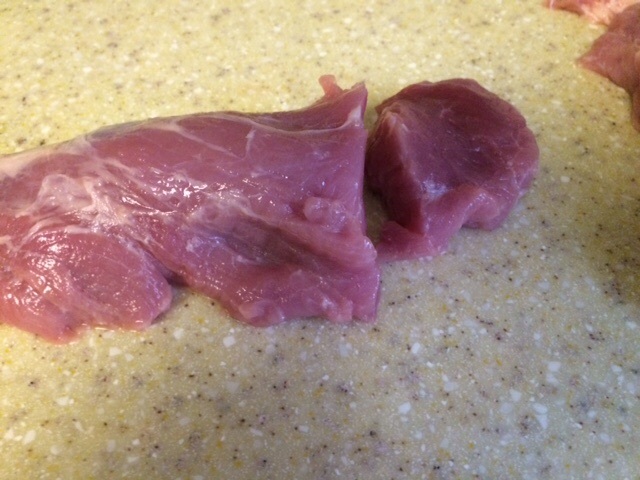 Cut the tenderloin into one inch think pieces and pound them flat to the thickness you like. I like them very thin! 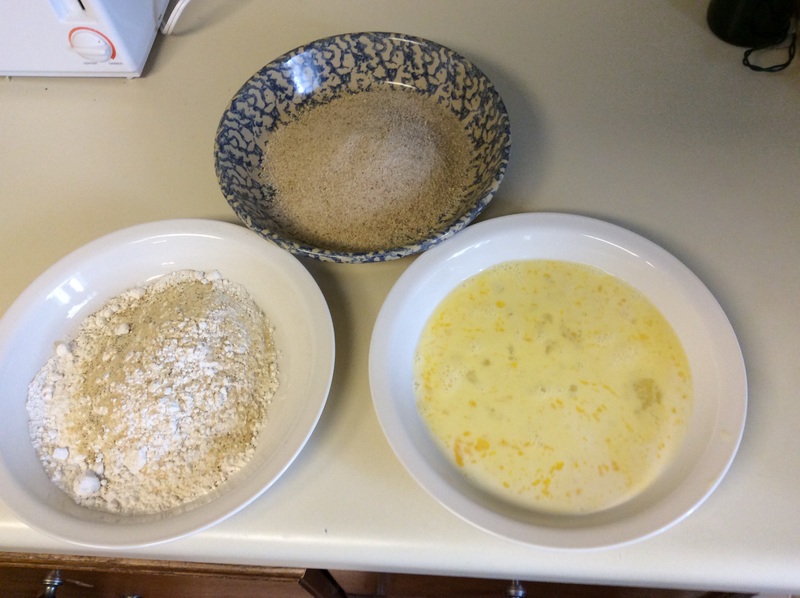 Dip each piece into the flour, coating them and shaking off excess, then dip into the egg wash and then the breadcrumbs and coat generously. 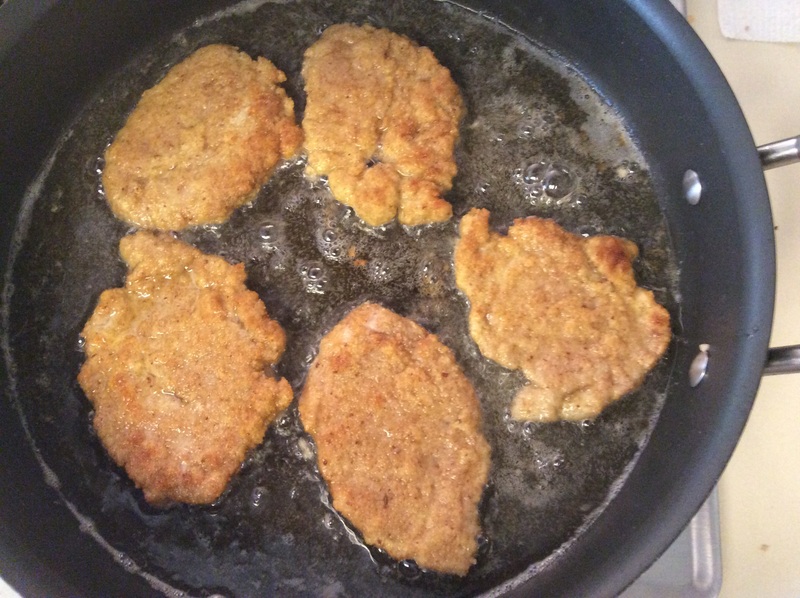 Fry each tenderloin in vegetable or peanut oil until golden on each side. Salt and pepper to taste and serve on the bun of your choice! You can add pickles or mayo, but I like them plain! That’s how they serve them in Indy! This entry was posted in Recipes and tagged Indianapolis local fare, Nickel Plate Bar and Grill, Pork Tenderloin Sandwiches. Bookmark the permalink. This is an indianaplois local favorite. Reposting to give the colts good karma this weekend!